Saturday, February 24th, we hosted the inaugural Irvies: an IDO Awards Night and Fundraiser. The numbers above are not our latest version of a celebration carol, but a breakdown of all that went into making a successful, memorable awards show. Planning for The Irvies began over 18 months ago among a few passionate IDO volunteers with (probably too many) beers and laughs. Last month, it was executed through a team of over 20 hands-on volunteers; countless friends and neighbors; and thunderous laughter and applause. As far as fundraisers go – it was a success. 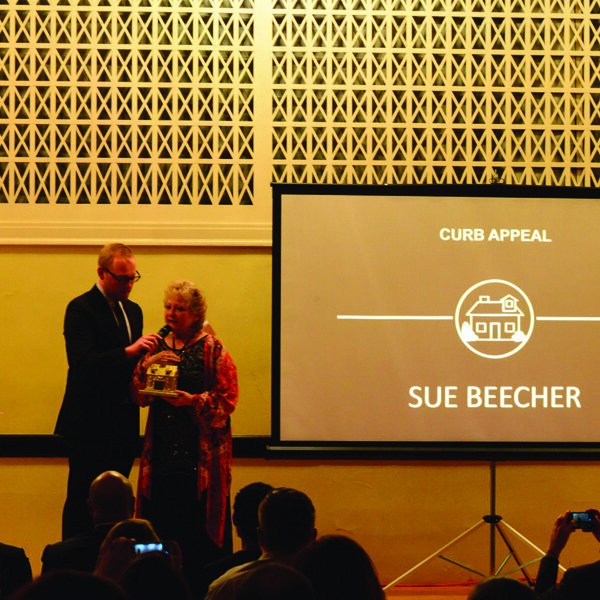 As far as awards shows go – it was Irvington! As guests arrived to the historic Irvington Masonic Lodge 666, they were serenaded by the talented Charlie Ballantine. Hors d’oeuvres by The Legend Classic Irvington Café complemented by wine and beer provided by Black Acre Brewing Co. along with desserts fromSimply Divine Cupcakes were served while guests mingled prior to the ceremony, as well as during intermission. During intermission, Delta Duo performed while guests marveled at the winners thus far. Hosted by B105.7’s Sean Copeland, the Irvies enjoyed skits from Comedy Sportz Indianapolis to open the show. Welcomed to the stage were City County Councillor Blake Johnson and U.S. Congressman André Carson to give opening remarks. Prize baskets were distributed between awards with winners being selected via raffle. 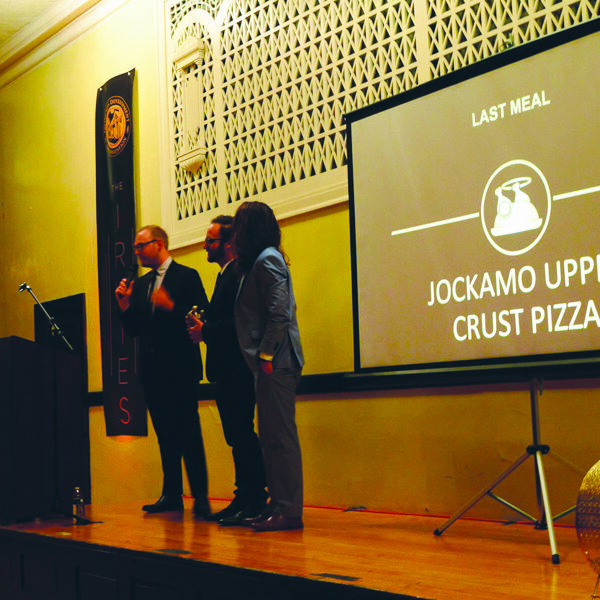 The night ended with the talented DJ C Drive spinning dance music (with an amazing light show), a late night snack from Jockamo Upper Crust Pizza, and attendees dancing the night away while showing off their glittery-golden trophies. We are immensely appreciative of all our attendees and hope they had a wonderful time (we know we did). The entire evening would not have been possible without the gracious support of our valued sponsors. Learn more about The Irvies on our website, and visit our Facebook to see videos and pictures taken from the event. Please email us if you’d like to get involved with The Irvies next year! This entry was posted in Blog, Business, East Side Indy, Events, Featured, IDO News, Irvington News, Neighborhoods.